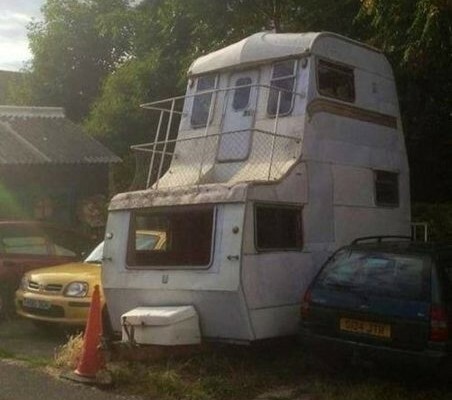 Rare glimpse of a vintage trailer model you won't often come across. 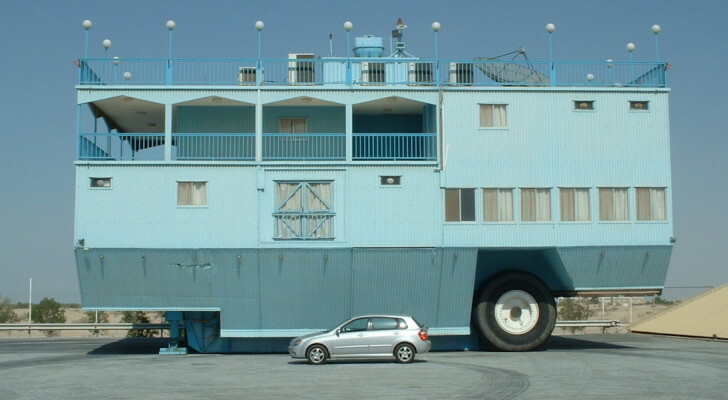 Although horse drawn wagons, like gypsy caravans, have been around for centuries, the modern obsession with the RV begins with the advent of the automobile. 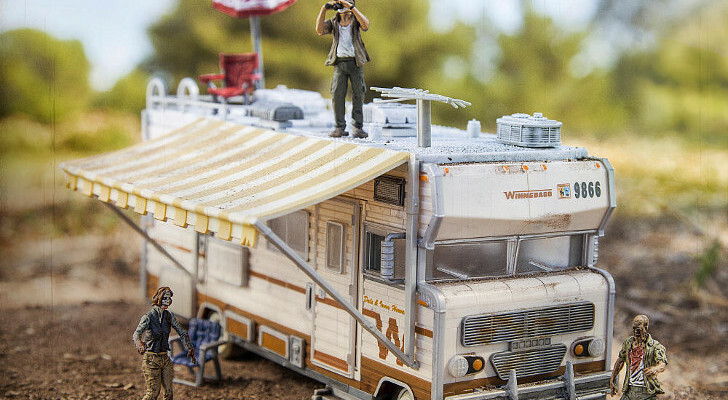 In America, RVs came of age right after WW II. The nation was celebrating having all of their men and women home from war and people were ready to hit the road and see the country. A beautiful dark green and white Colombia Invader. This 1949 Colombia Invader is reminiscent of that era, even the name has a warrior theme. While the “canned hams” of this era are smaller, like most things from the past, primitive manufacturing techniques made them bulkier, larger and heavier than modern campers – in most cases. 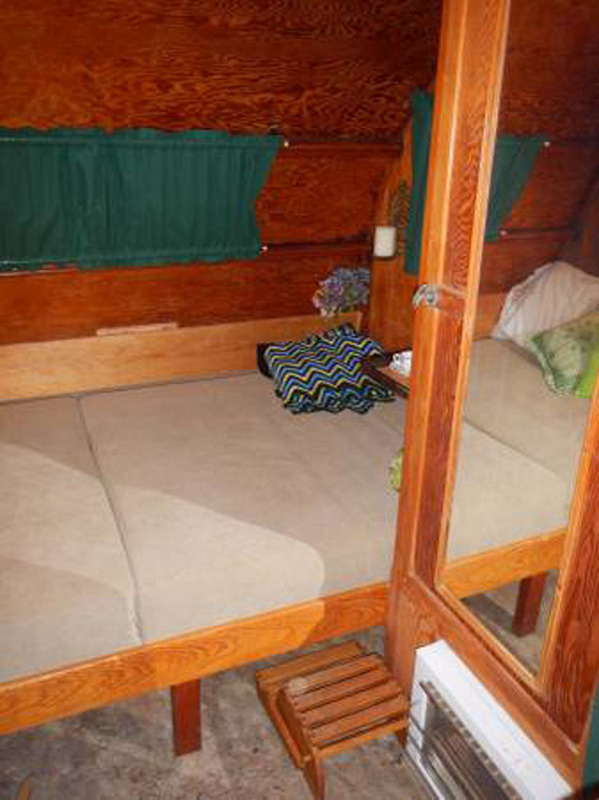 The main, built-in bunk with pine frame. 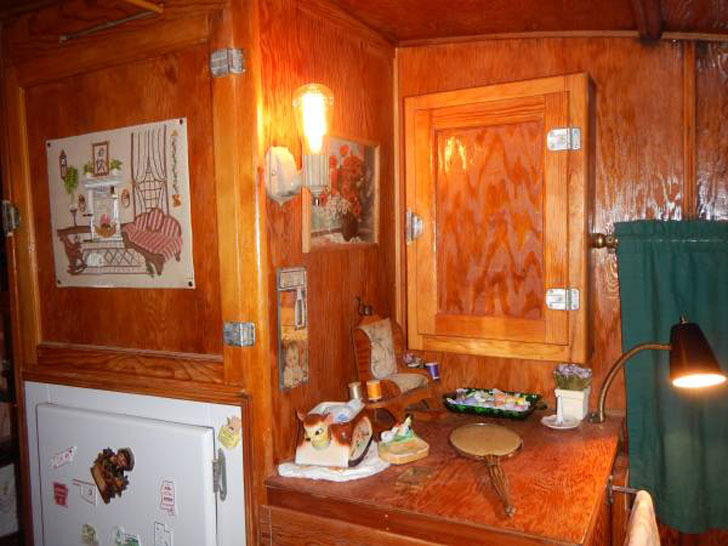 This trailer has been completely redone, inside and out. 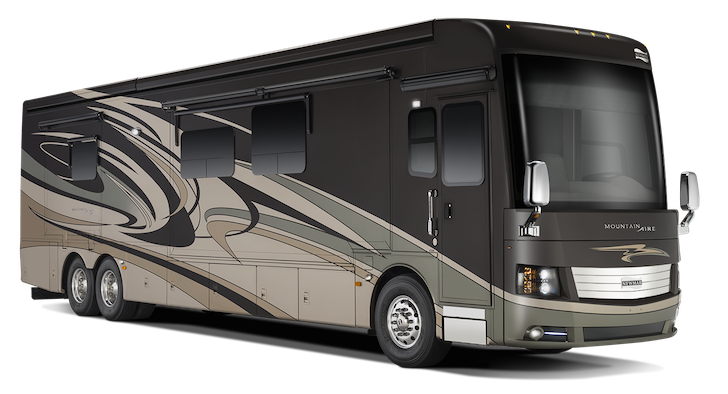 The exterior bears a sporty dark green paint job, with white accents tied in all around. And that’s including the two custom painted propane tanks that not only supply gas to the stove, but run two interior propane lamps! 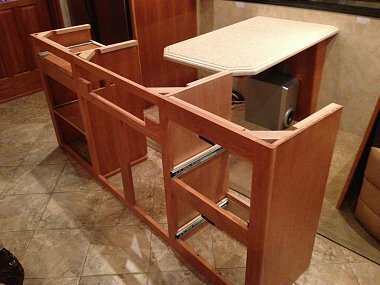 A removable “stretcher” style bunk over the dinette area. 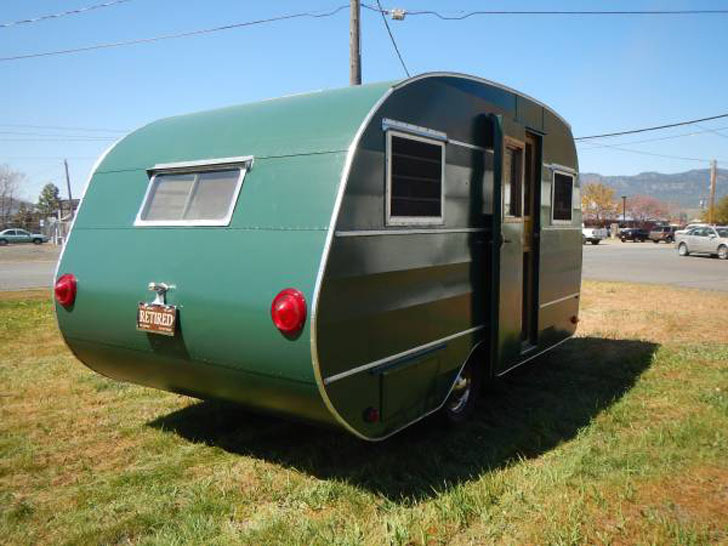 The Invader has a sleek Mid-Century feel and the only update is the diamond plate kickplate on the front of the trailer, to protect it from road debris. 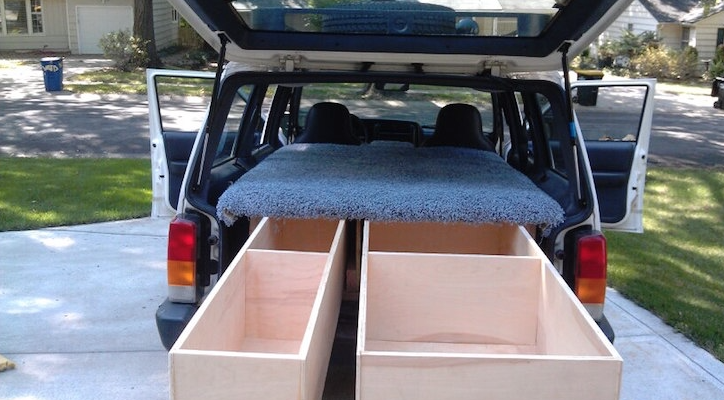 The body is in excellent condition for a rare trailer of this vintage, with hardly a ripple anywhere. From the outside, it hides its age and could be mistaken for a much newer model. This restored three burner stove is a thing of beauty. Inside, the 1940s charm comes complete with the feel of a time capsule. Nearly every surface is covered in a slightly ambered pine plywood paneling with glossy varnish. 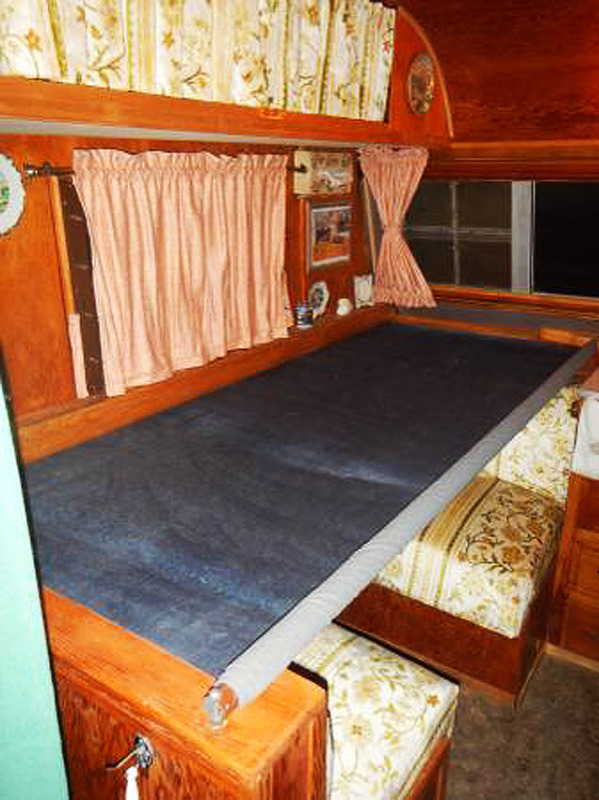 The two bunks, one built-in and one stretcher-style that fits over the dinette, remind you of a cabin at a summer camp. The dinette benches, meanwhile, are redone in an elegant, period floral print that I think my great grandmother had on a sofa. 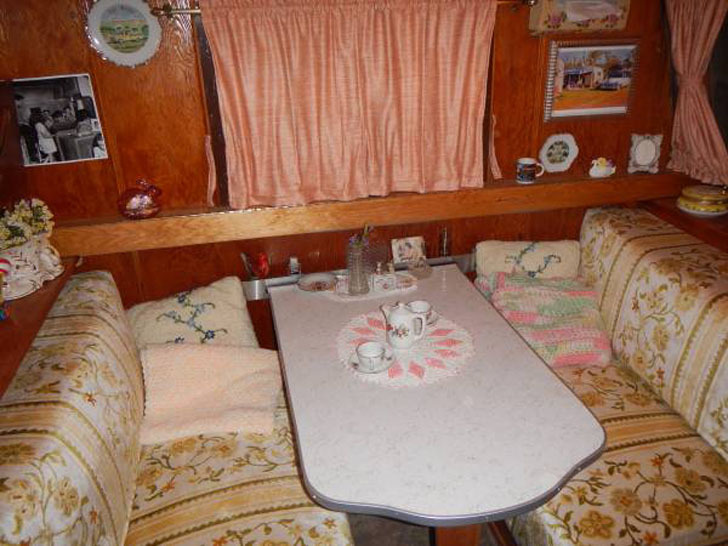 Vintage style upholstery brings a touch of elegance to the dinette. 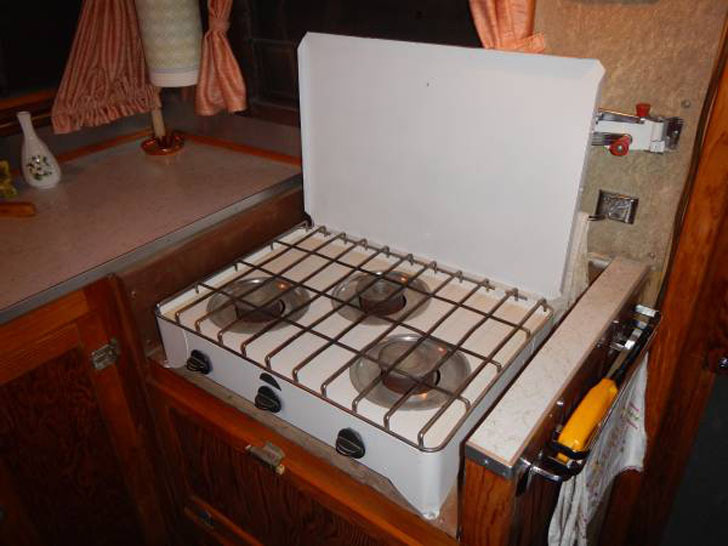 The percentage of original gear in this trailer is fairly amazing for the condition of the pieces, the three burner propane stove, icebox, and furnace have all been successfully restored to like-new working order and look great in the space! This one must have been stored inside, because the flooring is original as well, and looks none the worse for wear. A little pine vanity and medicine cabinet next to the restored icebox, on left. 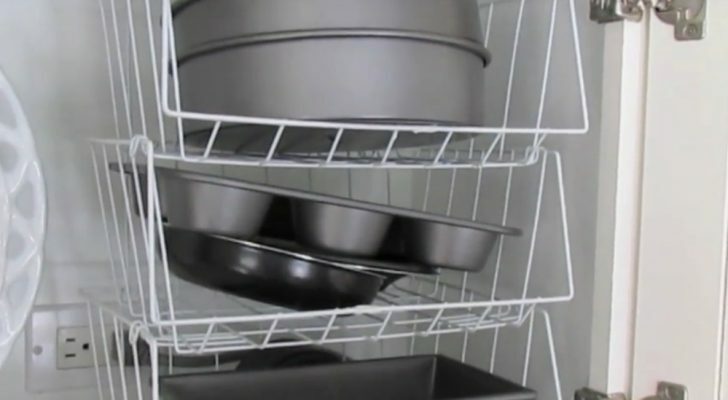 Behind the scenes, the plumbing lines and water tanks have all been replaced with modern gear and PEX piping, a smart move to prevent expensive repairs and hassles. The vintage trailer even comes with the original awning, folded in its original wooden suitcase box, with the original poles. This one would make a great find for a filmmaker working on a period movie! 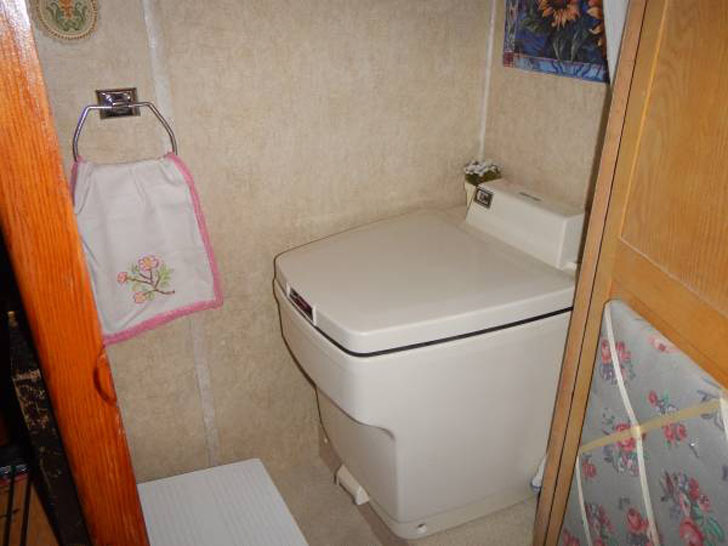 The new Thetford Electra Magic toilet is the one nod to modern technology. The one other nod to modernity is the new Thetford Electra Magic toilet, but even that name sounds somehow appropriate for the era. 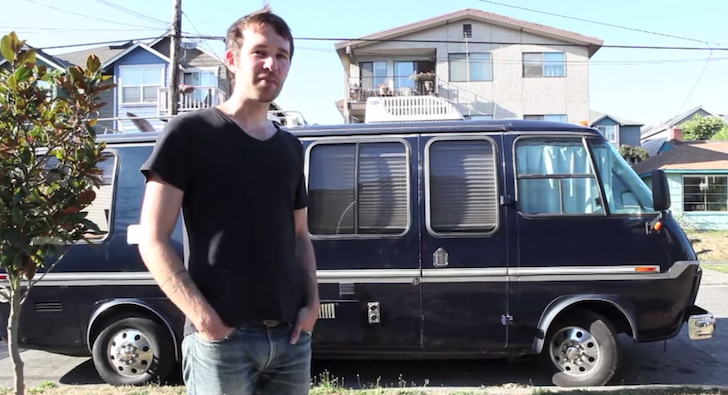 A beautifully redone trailer with lots of inspiration for the DIY vintage trailer crowd. Rear view of the Invader, showing classic lines throughout. 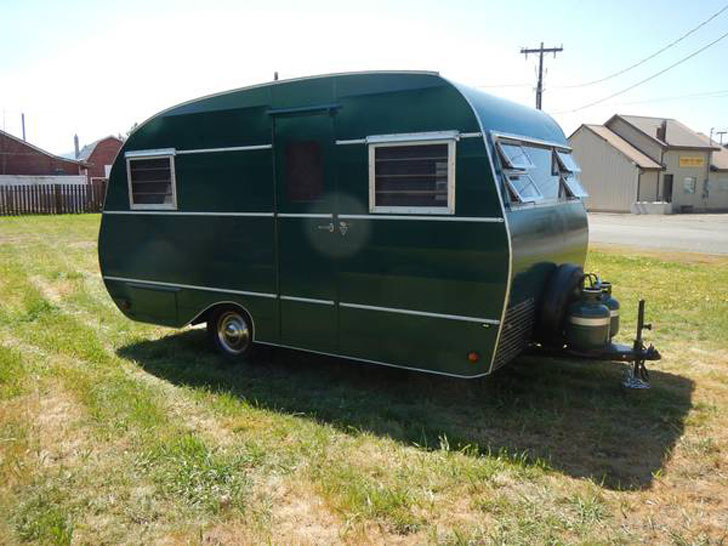 According to the Little Vintage Trailer, this Colombia Invader is for sale for $14,950 OBO in La Grande, Oregon.